When mobile phones became less costly and the recharge plans became a bit more affordable, the phone was still used for making and receiving calls and sending messages. It all, however, changed when smart phones came in and all of sudden one could access the world of internet on one’s own handset. Then came social media, online shopping, Apps and of course online recharge facilities and much more. 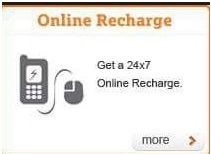 Online recharge is fast, quick and convenient. This is for sure. It happens in minutes, you can do it from the comfort of your home or office or while travelling and you are saved from unnecessary hassles of standing in queues, going out in bad weather etc. that was needed to be done when online recharge was still evolving. The first and the foremost is the risk of theft of one’s personal information especially bank related. We all are aware of the presence of hackers online. Reports suggest that there were about 868 reported case of cyber crime in the USA in 2017, the largest one affecting as many as 145 million customers. Compared to the online traffic the percentage of reported cases is less but one must remember here that even one case of cyber bullying or hacking can affect lots of customers. In India one of the biggest reported cases involved illegal access to personal and financial data of about 3.2 million people in 2016. However, it is to be noted that the cyber crime rates have really climbed down in the last few years because majority of businesses are now using intrusion detection tools, accessing their vulnerability on a periodic basis, using threat intelligence service and regularly conducting cyber security threat assessments. With online recharge there are chances of the customer’s money getting deducted from his account but the top-up not happening. These cases are minimal but they do happen. Another main drawback of being connected on the online medium through smart phones is that we have become socially reticent. Technology cannot be blamed for this human behavior; it is we who need to recognize the limitations of a technical product and work beyond it.